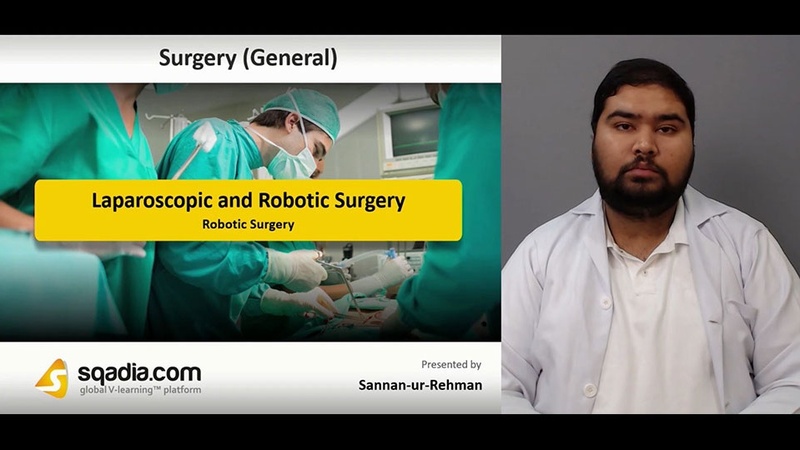 This lecture is the demonstration of Laparoscopic and Robotic Surgery. In this lecture, educator talks about minimal access surgery that how this technique has helped doctors to overcome infection, bleeding, and wound trauma along with some of its limitations. After that light is shed on advantages and disadvantages of robotic surgery. Then, some methods for creating a pneumoperitoneum are discussed. Furthermore, focus is shifted towards obesity a leading preoperative problem. Bleeding is a major operative problem enlightened later on. Lastly, concluding comments are given on single incision laparoscopic surgery.